Nrsimha Caturdasi - Tuesday, May 13, 2014 ~ The Toronto Hare Krishna Temple! The beginning of a new month marks the beginning of a busy summer season with festivals, seminars and much more! 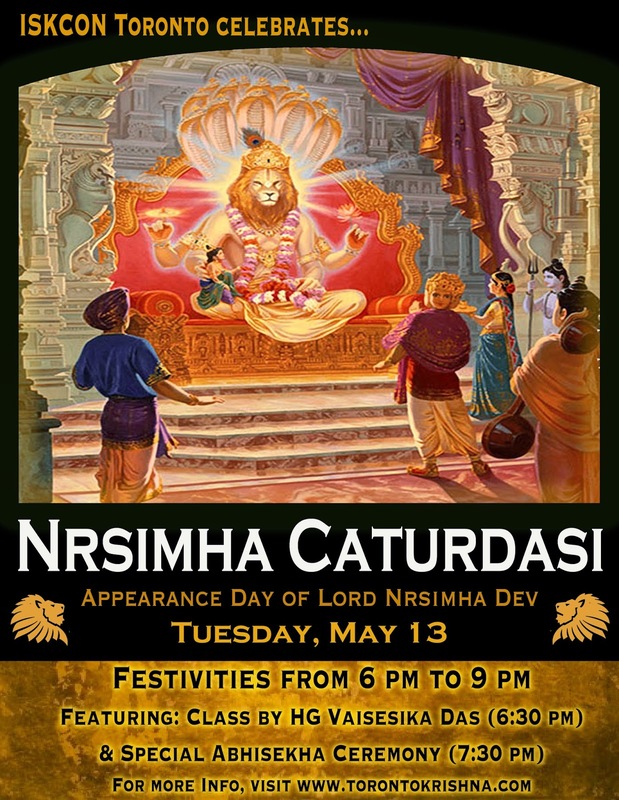 To kick it all off, on Tuesday, May 13th, 2014, Toronto's Hare Krishna Centre will be celebrating Nrsimha Caturdasi (the appearance day of Lord Nrsimha). 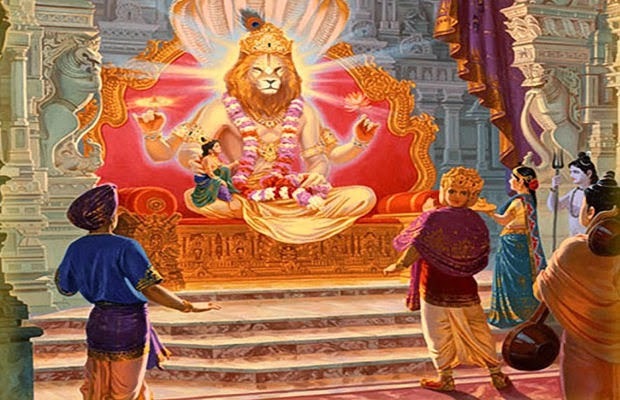 We are super excited to announce that one of our special guests for the month of May, HG Vaisesika prabhu, will be giving an enlivening discourse on Lord Nrsimha, which will be followed by an abhisheka (bathing ceremony) and of course, kirtan! Please join us on this auspicious occasion with your entire family and please stay tuned for the many festivities during this month!